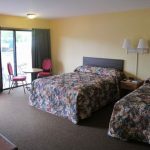 1 King and 2 Queen Lower – Wisconsin Dells Lodging at All Star Inn & Suites – Wisconsin Dells, WI. 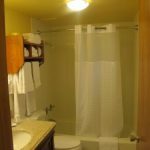 Located on the first floor in a large room w/ 2 Serta Prestige Queen Beds in the main room and a second bedroom w/ 1 Serta Prestige Plush King Bed. 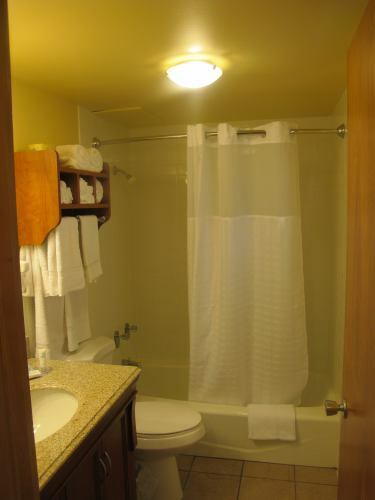 Includes TV in each room, plus refrigerator, microwave, in-room coffee and granite top on a nice 3 drawer vanity. 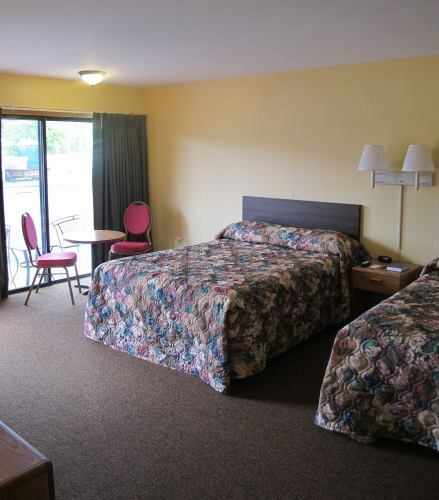 Rooms 18 and 25, these are popular rooms for guests that desire at least 3 beds, sleeps 3-6 guests.